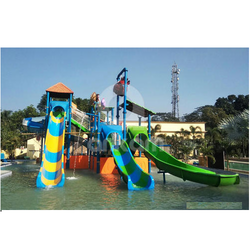 Manufacturer of a wide range of products which include turning open body slide, water park open float slide and open body slide water park. We are offering Turning Open Body Slide to our client. 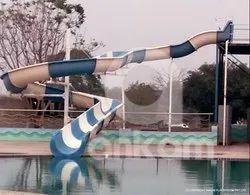 This slide can be installed from different heights and is available in attractive colors.We are manufacturing of Water Slide Equipments.We are offering Float Slides, Racer Slides, Family slides, Thriller Slides, Pool Slides, Kids Slides. 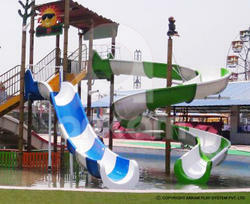 These Slides are having different attractive colors.This product is manufactured as per customers budget and space. This particular product is available in different sizes and colors. Manufactured out of fiber glass, these are perfect for amusement parks as well. These slides are mass pullers as it can be used with two seater and single floats. 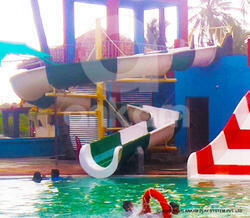 We manufacture Open Float Water Slide for our esteemed customers. 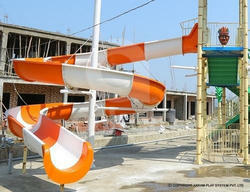 We manufacture Open Float Water Slide for our esteemed customers. This particular product is available in different sizes and colours. Manufactured out of fibreglass, these are perfect for amusement parks as well. Both children and adults can use this. We can customize the colours as per the preferences of our clients. Floaters are float slides, Turning slides provides edgy and thrilling entertainment at every turn and drop. Manufactured out of fiber glass, these are perfect for amusement parks as well. Both children and adults can use this. We can customize the colors as per the preferences of our clients. 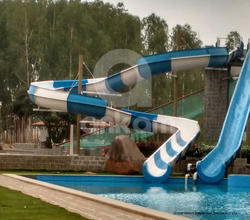 Floaters are float slides, Turning slides provides edgy and thrilling entertainment at every turn and drop.These slides are mass pullers as it can be used with two seater and single floats. Looking for Turning Open Body Slide ?